With topSPEECH-BlueMaster, the familiar cable between headset and voice device has become outdated and a thing of the past. The benefits of a wireless headset are obvious: cables to the headset are no longer needed, which significantly reduces the potential for accidents and makes for a safer and more ergonomic work environment for the picker. No more tangled cords or the risk that cables are getting caught. The high quality of voice recognition is, of course, still maintained. The BlueMaster headset has audio broadband transmission, which makes it an excellent fit for the speaker-independent recognition topSPEECH-Lydia® solution from topVOX. 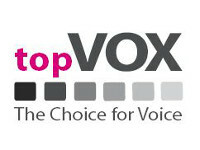 In addition, the integration with the NoiseMaster from topVOX ensures that background noises are eliminated to avoid interruptions during voice-directed workflow. 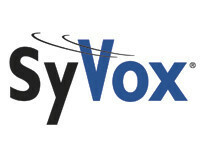 The innovative NoiseMaster noise filtering makes it possible to eliminate dynamic noises above 94dB. A replaceable 750 mAh battery guarantees a running time of about 15-20 hours. 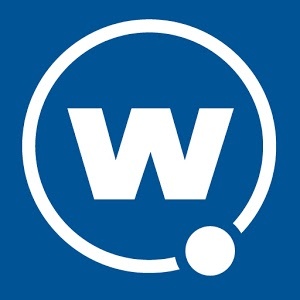 A globally unique feature is the fact that the Bluetooth module is placed directly in the microphone capsule rather than in the headphones, which has proven to provide additional ergonomic advantages for the operators: the Bluetooth rays are not directly in the head area and there are no “hot ears” wearing the comfortable BlueMaster! The BlueMaster battery life is also convincing. The 750 mAh replaceable battery has a life span of up to 20 hours. The BlueMaster wireless headset can be combined with a wide choice of voice terminals. Any voice-compatible PDAs without a headset socket or fork-lift terminal can now be used with topSPEECH-Lydia®.